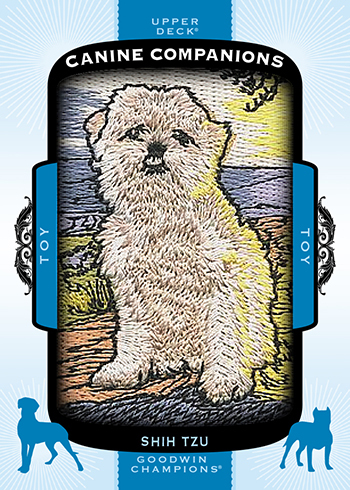 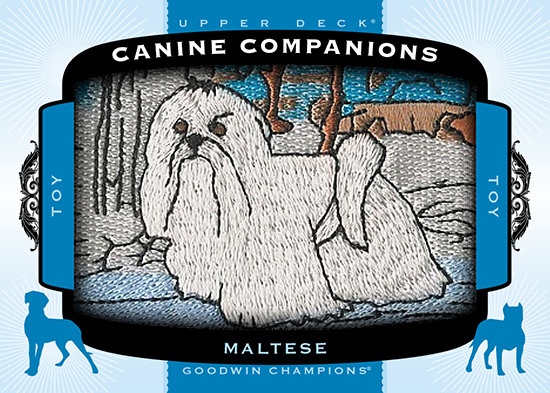 Upper Deck’s 2017 Goodwin Champions product will feature a bevy of different content that fans are sure to love, but the company is putting a new twist on manufactured patch cards with the Canine Companions set. 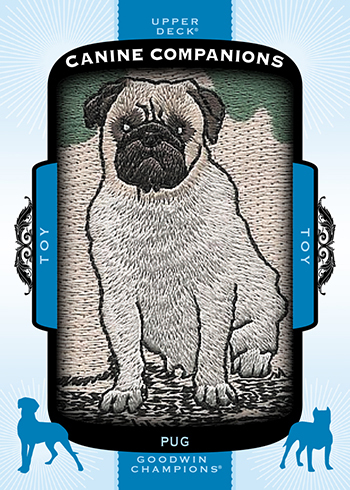 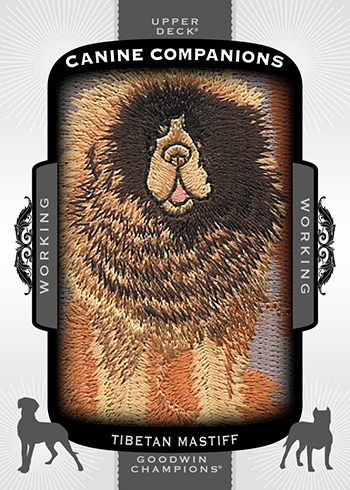 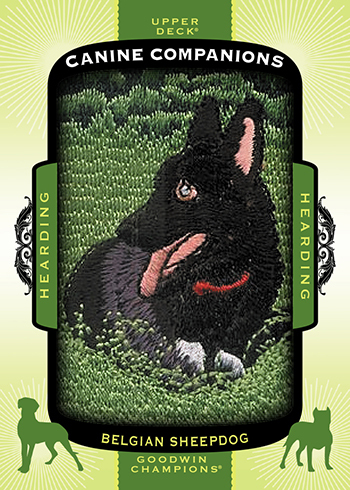 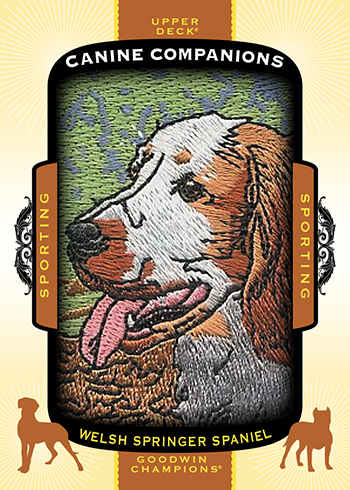 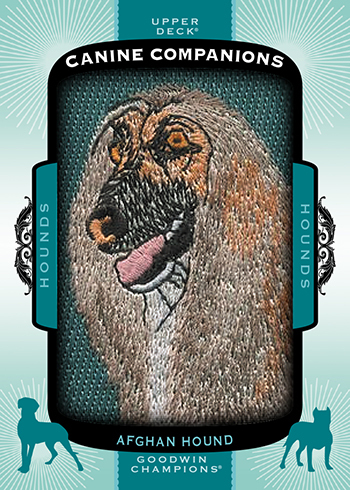 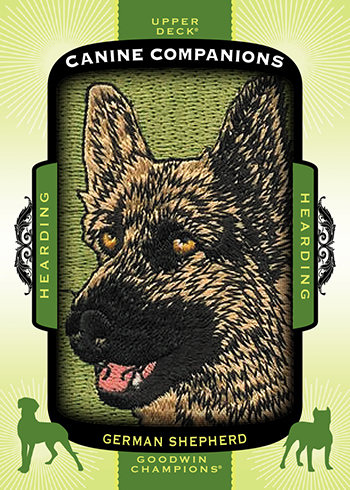 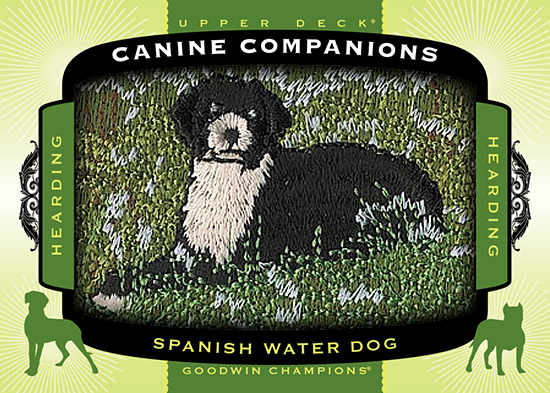 These embroidered patch cards start a three-year run of these showing off different dog breeds. 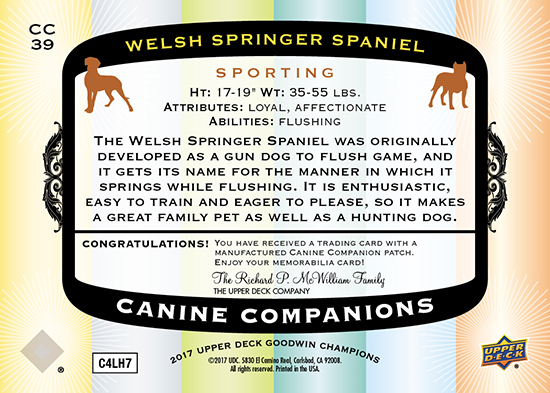 Each year the Canine Companions set will be broken into six different tiers of various breeds, all with different levels of scarcity, cumulatively falling at a rate of five of these cards per 16-box hobby case. 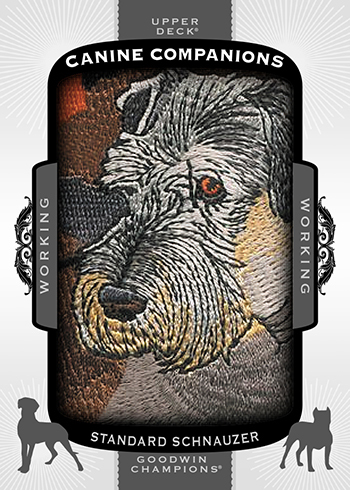 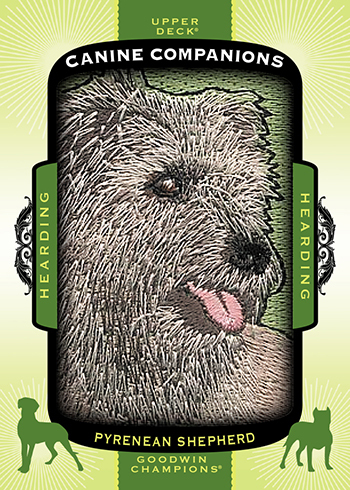 Card backs will feature a variety of information about the dogs showcased. 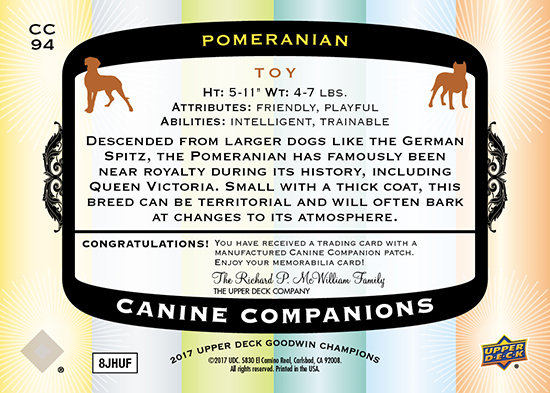 This is a set that will be fun for the whole family and every type of collector (except cat people). 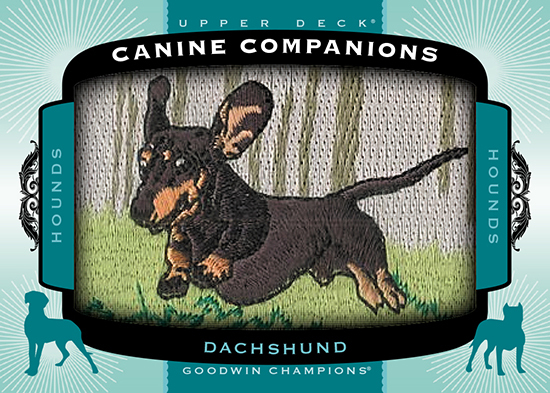 Don’t miss your chance to collect Upper Deck’s Canine Companions sets in 2017, 2018 and 2019 Goodwin Champions! 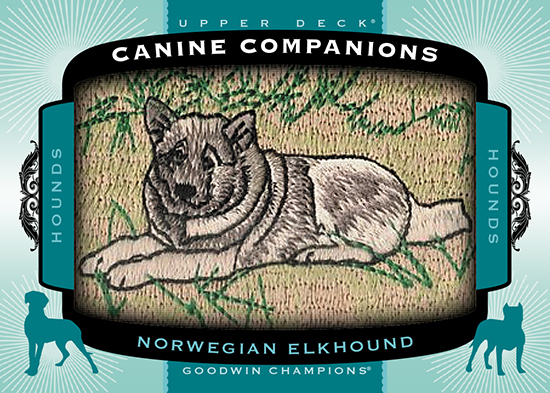 Any chance the Dogo Argentino will be featured in this set?